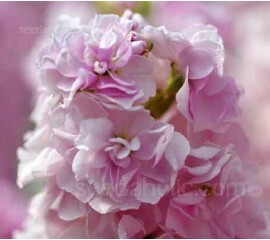 Matthiola ‘Cinderella’ is an extremely early and long flowering series of Stocks that is now available in a series of modern colourways. 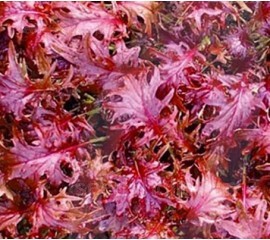 They produce a high percentage of double flowers and are ideal for the border or for container growing. Kale 'Red Ruble' is a red, Russian-type kale with beautiful wine-red serrated foliage that makes a quick growing colourful tasty salad leaf. Grown year-round on a windowsill and picked young and small, they can be added to lettuces to make your own mesclun mix. 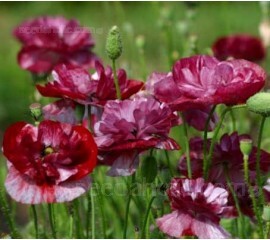 Papaver rhoeas 'Pandora' is a strikingly lovely, unique and impressive new variety. A phenomenal combination of shades, from voluptuous deep burgundy red to paler pink-red, broken by silver grey stripes on the lower petals. 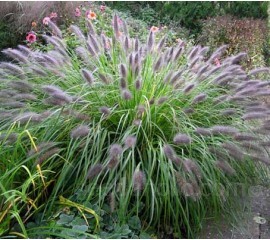 Pennisetum alopecuroides is one of the easiest and most visually stunning grasses you can grow. Fountain-like smoky purple-black plumes contrast nicely with the slender arching, glossy, deep green foliage. 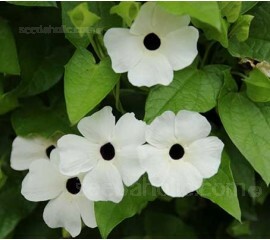 'Sunrise White' is a white form of the Black Eyed Susan vine. Very quick to bloom and profuse, the flowers smother the vine throughout summer to first frosts. he petals are white, surrounding a bold black eye, they add a dash of chic to the summer terrace or border. 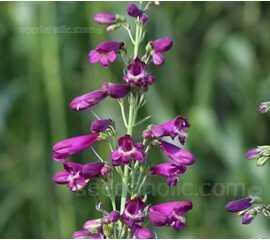 A first year flowering perennial that boasts half the foliage of older varieties and twice the length of flowering stem, Penstemon ‘Twizzle Purple' produces trumpet shaped magenta-violet blooms that flutter all along the tall, slender stems. 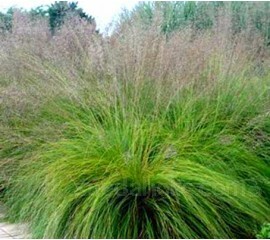 Sporobolus displays a magnificent fountain of fine textured, emerald-green leaves which develop rich shades of reddish-gold or deep orange in the autumn, but the great joy of this plant is that it produces a great cloudy haze of tiny flower heads. Calamintha nepeta is a very attractive bushy, perennial that should be in every garden. 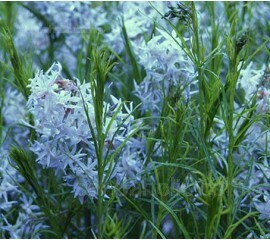 Easily grown from seed with clouds of tiny, lilac-mauve flowers that bloom until late September. 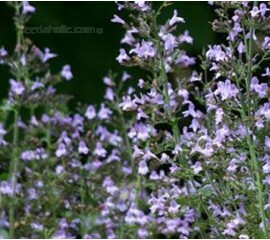 The leaves exude a lovely minty scent when crushed and the flowers are true bee pasture. 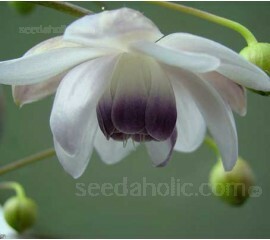 Anemonopsis macrophylla is one of the most beautiful and elegant plants that you could wish for. This emphatic woodlander is not in fact difficult to grow if given humus-rich, semi-shaded conditions. Amsonia hubrichtii flower reliably year after year, they are not pushy or invasive, are rarely fussy about soil or situation and they are very hardy. The blue flowers have an almost lily-like appearance, but it is in autumn when they reach their true glory, when the leaves turn brilliant gold. 'Zinderella Lilac' produces large flowered blooms, layered thickly with a stunning crown and contrasting dark centres. A favourite of gardeners and florists around the world, they are extremely easy to grow. 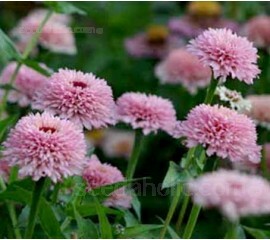 Sow successively from March to July for flowering until autumn. 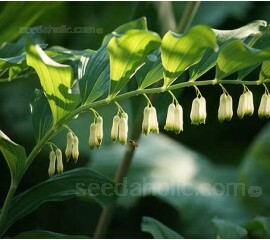 Whether you know this plant by its scientific name Polygonatum, or the more poetic variant Solomon's Seal, this plant is a welcome addition to the shade garden. The bright green elliptical leaves look wonderful amongst native ferns.